Living the life of a wellness professional and supporting people’s quests for wellbeing is an ever-evolving skill set. As I’ve discovered, there are very specific techniques that make a big difference in a client’s happiness and progress… and also unconscious ways you might delay it! 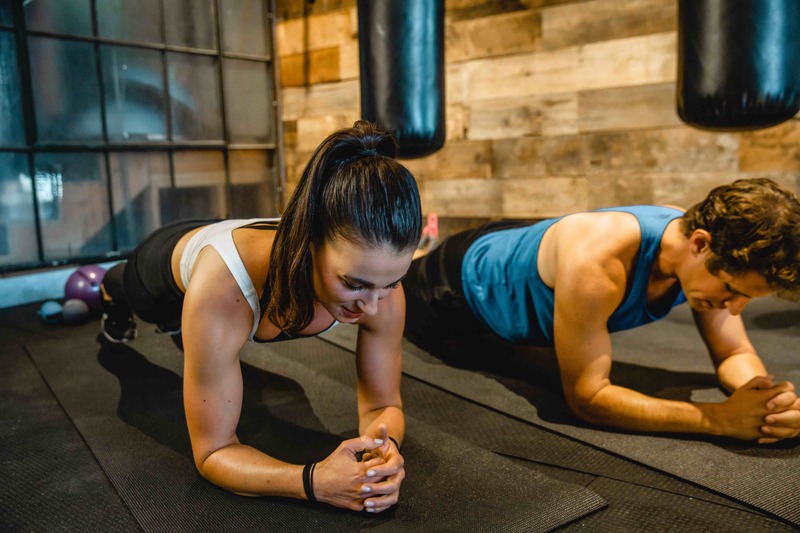 In my earlier days as a personal trainer and yoga instructor, I would start my client relationships with assessing client goals and movement patterns. I would then devise an exercise program, teach my clients how to do the prescribed movements, and send them on their way with exercise homework until we met the following week. The client believing I had all the answers and relying on me to deliver the solution to their problem in the process. Soon into my health and wellness career I discovered the Health At Every Size® (HAES) framework, which was the missing piece to the work I was doing. HAES is a paradigm that rejects diet culture and emphasizes intuitive eating and joyful movement, as well as advocating for respectful health care for all bodies. While I have always been a champion of the anti-diet and body positive movements, finding these principles was a game changer for me personally and professionally. In that phase of self-discovery, I recognized my approach thus far was prescriptive. Even though I was not promoting diets I was still positioning myself as an expert and provider of solutions to the x-y-z challenges clients faced. When I no longer worked from an emphasis of assigning solutions and giving prescriptive exercise, I had to adjust how I guided and coached others. I had to shift my approach from one of prescribing to empowering those that I served. How can I help you want to move better in your body? 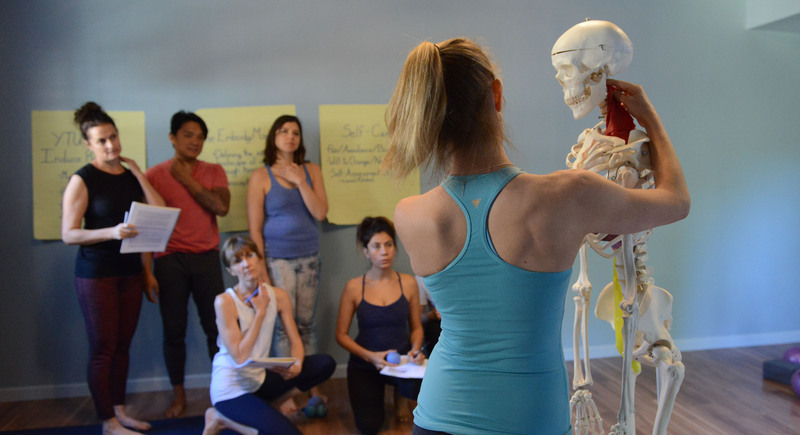 How do I help you take control of your own movement patterns, chronic pain, well-being? From an empowerment perspective, the simple answer is–I don’t; I don’t “get” you to do anything. My goal is not to correct, fix, or change something. Encouraging you to see yourself as embodied and integrated by seeing the whole person you are–body, mind, spirit, etc. When I guide movement via empowerment teaching I am providing a space for you, the client, to grow organically. I help you explore your internal landscape, then take what you discover and integrate it into your everyday living in a way that feels right for you. This mindset is what intrigued me about Tune Up Fitness® and got me on the path of becoming a YTU Level 1 teacher and Roll Model® Method Practitioner. The most profound demonstration of empowerment teaching in Yoga Tune Up® is the cornerstone of any YTU session–the Check In/ReCheck. This is where you get to practice firsthand your ability to tune in and explore the personal effects of a therapy ball rolling sequence on a variety of levels–pain, range of motion, breath or stress. It is a practice in embodiment which is also empowering! The reason the Check In/ReCheck works so well is that it doesn’t assume you are going to have a certain result from different techniques (and thereby assume that you did it wrong if the result isn’t ideal). It puts the power in your body to decide what each technique has done, and whether it serves you or not. Empowerment teaching enriches a client’s experience and sense of ownership over their wellness. In contrast to prescriptive teaching, it sets people up for a lifetime of movement exploration, rather than needing to rely on someone else to fix you. It is not necessarily the easier path, but it certainly is the most rewarding. Check out the following self-massage video for the feet as they relate to squatting. Here you will see the Check In/ReCheck style of teaching in action with Jill Miller. Interested in video and blog content targeted to your interests? Empowerment, empowerment, empowerment!! I totally agree. Empowering someone to go inside and feel what they need rather than just prescribing things for them to do/eat/take and working together to help them come to a space where they feel at their best, whatever that means for them, is essential. Love the check/recheck as well, as it helps cultivate more self-awareness and observance of immediate changes or “results”, inspiring them to keep taking more steps on the path to wellness. I love the fact you are empowering others to create a change within their bodies. The same happened to me when I was first exposed to YTU. Great article! I have never heard of HAES, but that approach makes so much sense! Thank you! Thank you for this enlightened way of looking at exercise and treating our body ourselves. Instead of fighting our bodies it is so much healthier to work with it and realize that moving our bodies is a privilege. No longer do I see working out as a chore , but more as just part of my day. Results have become less the focus. The daily actual experience of movement is where bliss starts.